My R. L. Stine's collection. I have 67, but all of them are in spanish, except THE BLOOB THAT ATE EVERYONE. HD Wallpaper and background images in the Мурашки club. This Мурашки photo contains кассета. Maybe anyone is interested in joining my, since yesterday launched, R.L. Stine Fan-forum? @Supergoosebumps: Hi, thanks for the comment! Yes, it's a lot, 3 years of sacrifice jajaja. @1j2u3s4t5i6n: I'm peruvian lol. I speak in English because I've learned how to, but my real language is Spanish. Si no me creen aquí pueden verlo, jajaja. Wow!! 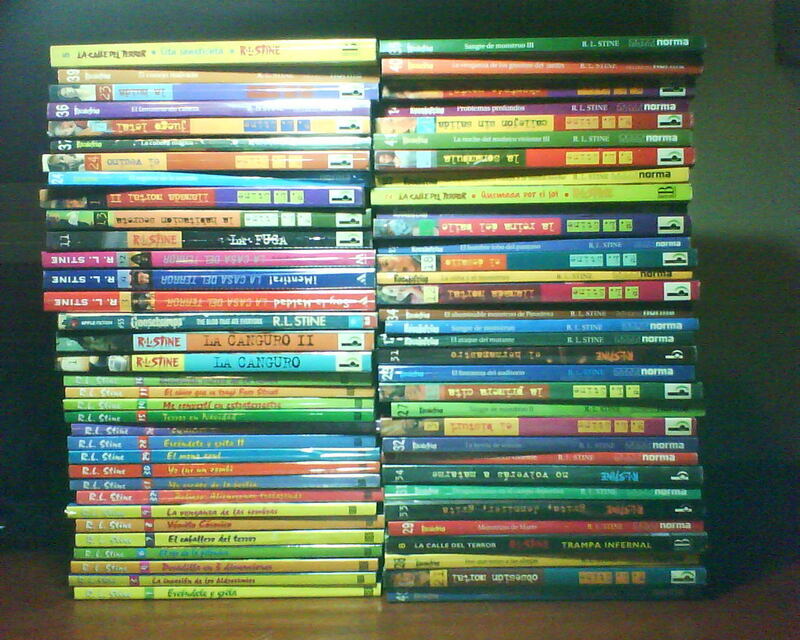 what a collection of GOOSEBUMPS man......!!!!! Ohh, and now i have 83 lmao! !